Abdolfattah Soltani-currently held in Evin Prison’s Ward 350 in Tehran-co-founded the banned Defenders of Human Rights Center and represented political and civil rights activists throughout his career. He was arrested on September 10, 2011 and sentenced to 18 years in prison by Branch 28 of the Revolutionary Court for “propaganda against the state,” “assembly and collusion against national security” and “earning illegitimate funds” for winning the Nuremberg International Human Rights Award in 2009, and banned from practicing law for 20 years. 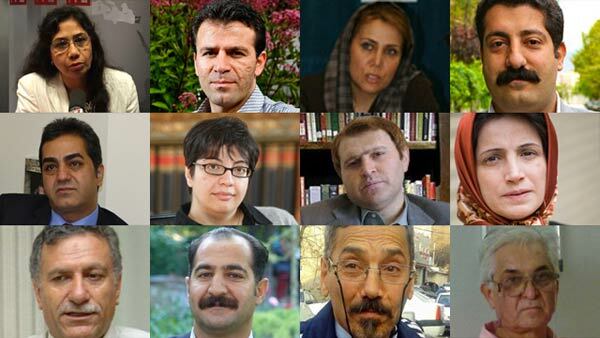 Other than Ebadi, who left Iran in 2009, all of the founding members were arrested and imprisoned. Soltani, and the center’s spokesperson, lawyer Narges Mohammadi-who was arrested in 2015 and is currently serving a 10-year prison sentence-remain imprisoned while the other members have been freed. Massoud Shafiee, the attorney who defended the three American hikers-Josh Fattal, Sarah Shourd and Shane Bauer-who were detained in 2009 until their release in 2011, was also suspended from practicing law and banned from traveling outside Iran. Lawyers imprisoned for representing the Gonabadi Dervishes, a persecuted Sufi spiritual community, have also experienced severe problems since their release from jail. Initially the lawyers-Hamidreza Moradi, Mostafa Daneshjou, Amir Eslami, Reza Entesari, Afshin Karampour, Farshid Yadollahi and Omid Behrouzi-saw their licenses revoked, but Eslami, Yadollahi and Behrouzi have been able to return to their practices, the Campaign has learned. In 2009 Negar Haeri was suspended from practicing law for 10 years for representing a “monafeq” (hypocrite)-a derogatory term for members of the MEK, a banned group that advocates regime change in Iran. Two years later she was detained for nearly four months for her alleged sympathies with the MEK.